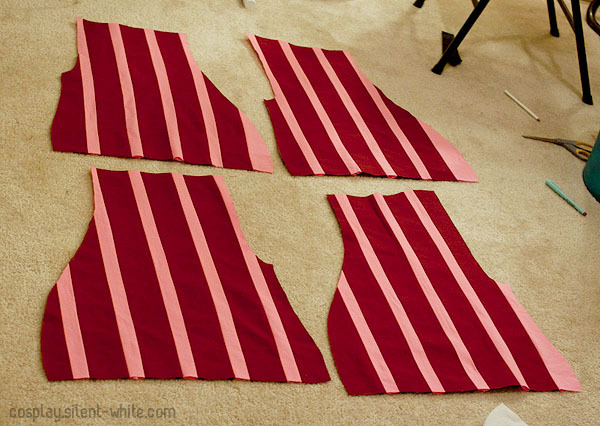 I started by making sections of stripes. 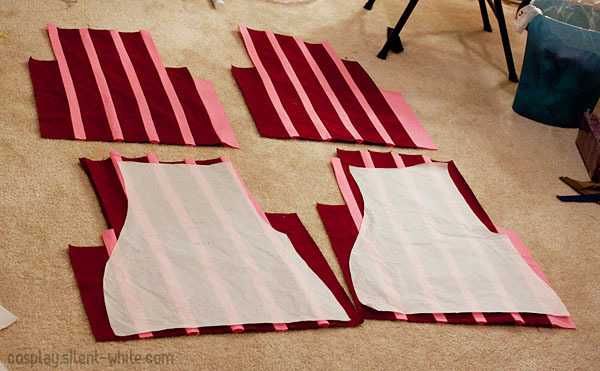 I cut out strips of red and pink and sewed them together, until they loosely resembled the pattern I was working on. The red stripes are 3.5in and the yellow stripes are 2in. This includes a 1/2 seam allowance on each side, which means they are 2.5in and 1in after being sewn. Again, I recommend pressing open the seams, so that the fabric lies flat. 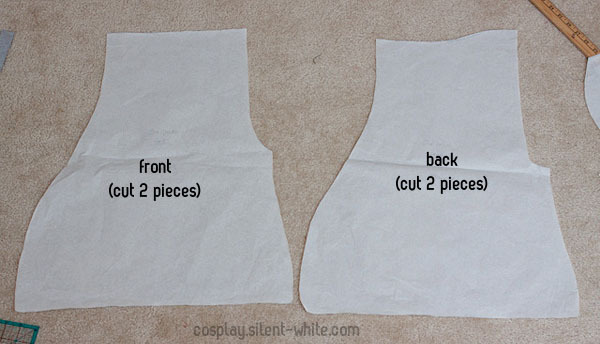 After the 4 pieces were done, I cut them out to the right shapes and added a layer of lining. Unfortunately, I forgot to take a photo of that, but it’s just a layer of dark red broadcloth on the inside. The waist has an elastic band inside. The bottoms are pleated and then an elastic band is attached to each one as well. 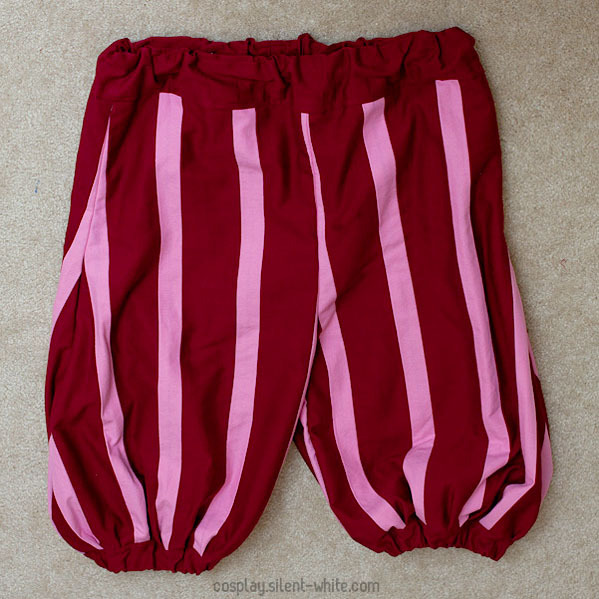 I wore them with black knee high socks, because the pants bottom would often ride up, exposing my leg. The socks covered that part and made the boots look longer. Oh, and the boots are 10″ Bearpaw boots in a Charcoal color. 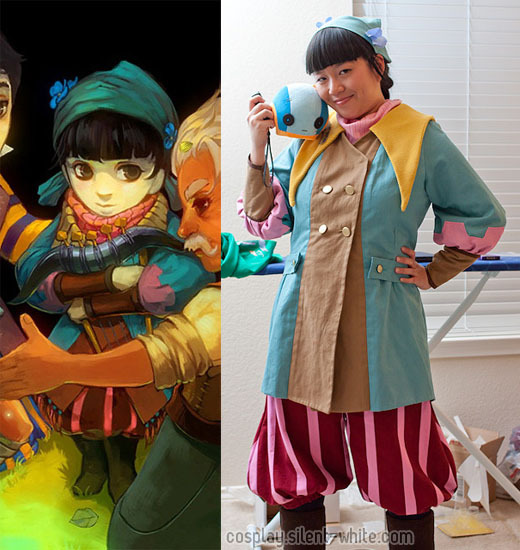 That’s it for the clothing part of Zia’s costume! Next up, I will be covering Zia and Zulf’s wigs.